Since the recording of their eponymous album in 1983, Genesis had drifted into a kind of hiatus as the three members worked on their individual solo projects. For Collins this was a time of growing popularity, and his success seemed to have a knock-on effect for the band. The three of them re-convened towards the end of 1985 at The Farm in Surrey to work on creating their 13th studio album. All the compostiton was done in the studio, and as with the previous offering all the songs are credited as band compositions. 'Invisible Touch' was released in June 1986 and was an immediate hit on both sides of the Atlantic and across Europe. It was the band's fourth consecutive number 1 in the UK, and reached number 3 on the Billboard charts - their highest position. Reflecting the band's more 'commercial' style, the album spawned five singles, all of which made the Top 5 in the US with the title track becoming Genesis's only #1 single. This feat was a first for a group and a non-US act, after Michael Jackson, Janet Jackson & Madonna. 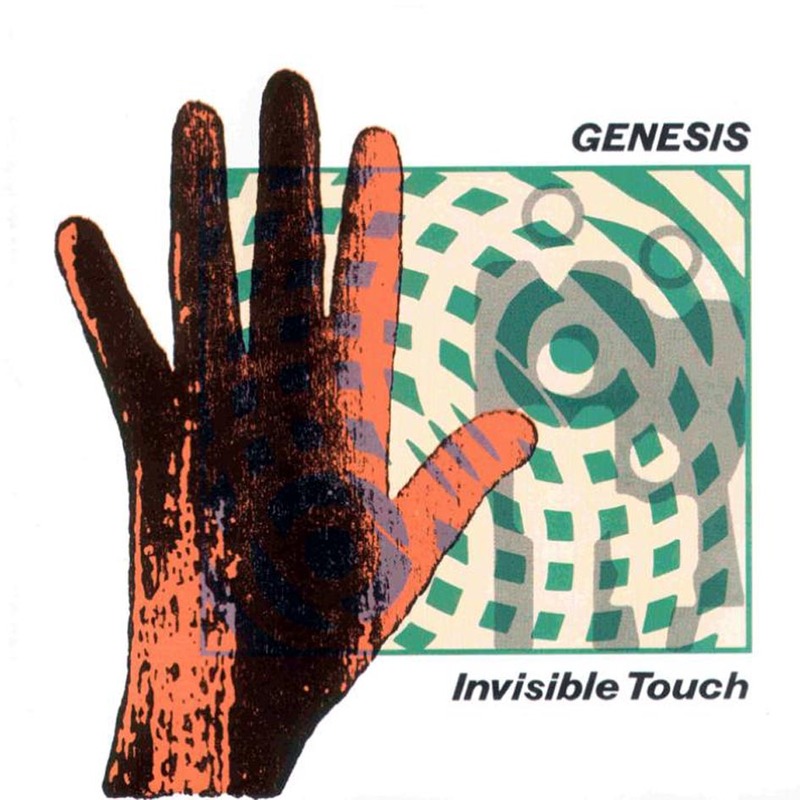 We begin with the chart-topper, 'Invisible Touch', which opens with a flourish on the drums before the chorus motif comes in on keyboards & guitars. Structurally a simple song (verse, chorus, verse, chorus, instrumental break, chorus, verse, key-change for chorus, and repeat with counterpoint), lyrically unchallenging and musically memorable in an ear-worm sense, this does, to be fair, have all the hallmarks of a hit record, and the band seem to have learnt from (or been influenced by) Collins' solo success. It just seems to lack the flair, imagination and inventiveness that marked Genesis out as something different even ten years earlier. 'Tonight, Tonight, Tonight' does seem to have a little of that 'difference' about it. The drum pattern that starts it off (and continues to form the background for the first half of the song) has a certain lyrical quality to it, and the keys & guitars give it an interesting texture. In the instrumental break after the third chorus there are sounds akin to blowing across milk bottles - are these keyboards or drum synths? But this builds a nice tension to the music which crescendos to the 'You keep telling me...' section, after which the song drives along and there's even a hint of a guitar solo towards the end. This is a bit more like it for me. 'Land of Confusion' is an interesting song. Lyrically a piece of social/ political commentary; musically quite a heavy song in places, with some staccato, almost machine-gun rhythms going on, but with an almost elegiac passage around the 'I remember long ago...' section. This heavy feel made it an easy cover for metal band Disturbed. But for me it will always be difficult to take this song seriously because of the promotional video that was made for it, using Spitting Image puppets of the band and others, which naturally puts a comic slant on it. 'In Too Deep' is a soulful ballad, a love song, pure and simple, and is perhaps indicative of the issues that many people have with this album as a whole. This is, more perhaps than anything else on this collection, so much like Phil's solo material as to be almost indistinguishable from it. In fact the only thing that sets it apart is the brief instrumental interlude which could've been lifted from Tony's solo debut. 'Domino' is a song in two parts, and clocks in at just over 10½ minutes, and is the longest song Genesis had recorded since The Cinema Show in 1973. In contrast to the more tightly structured, poppy songs this has a more complex feel to it and is (along with Tonight, Tonight, Tonight) more on the band's Progressive side. 'In the Glow of the Night' gives us a rich and complex tapestry of rhythms and tempos with a quite soulful edge at times. The transition to 'The Last Domino' is gentle, but takes us into a more pulsating, driving section which lyrically has echoes for me of 'The Lamb...' and has a kind of salsa feel musically in the 'Now see what you've gone and done' section. This is a great song - Rutherford apparently claims it is one of the best things the band has done: I would certainly say the best they've done in the 1980s for sure. 'Throwing It All Away' - from the sublime to the mundane, I'm afraid. It's all a bit dreary, to be frank: a love song with very little passion in it. A good sing-along live, but little else. 'The Brazilian' rounds things off: an instrumental which seems to have some quite complex rhythms going on, but which seems to be dominated by Collins' drumming. It's only during the last minute or so of the song that the full band get to interact with each other, playing drums, keys and guitars almost in counterpoint, which gives it a more rounded sound. Not a bad way to finish, but maybe the jam could've gone on a little longer. Somehow a band who prided themselves on some spectacular musical arrangements and instrumental virtuosity have, with one or two exceptions, morphed during the 1980s into nothing more than Phil Collins' backing band. There are glimpses here of what the three of them could be capable of, but having cracked the lucrative American market it seems that they are content to tap it for all they can, with the occasional brief flurry of artistic integrity. But so much of this material coud have been released as Phil Collins solo material with very little change to it, and that is perhaps its greatest weakness. Having said that, this is a collection of on the whole memorable tunes, albeit mostly pop-rock rather than Progressive, and in the 30 years that have elapsed since its release it still stands up as a good example of the genre.